The Black Glass Modern Side Table can be placed in your Living Room for the truly required, additional storage space! Oozing sophisticated style with the unusual 'V' shaped Chrome base. 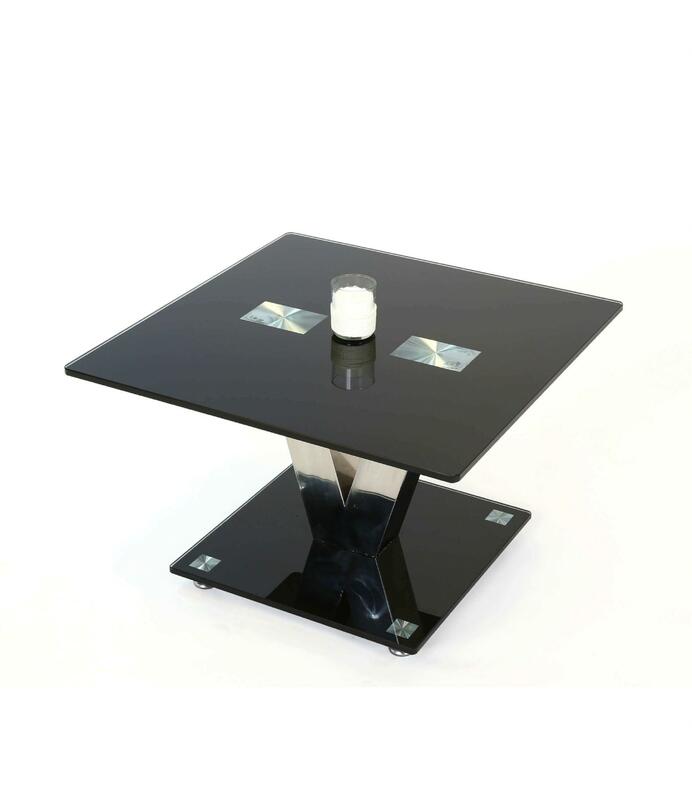 This sleek & contemporary end table features a black glass top and base which is constructed of strengthened tempered glass for further durability. 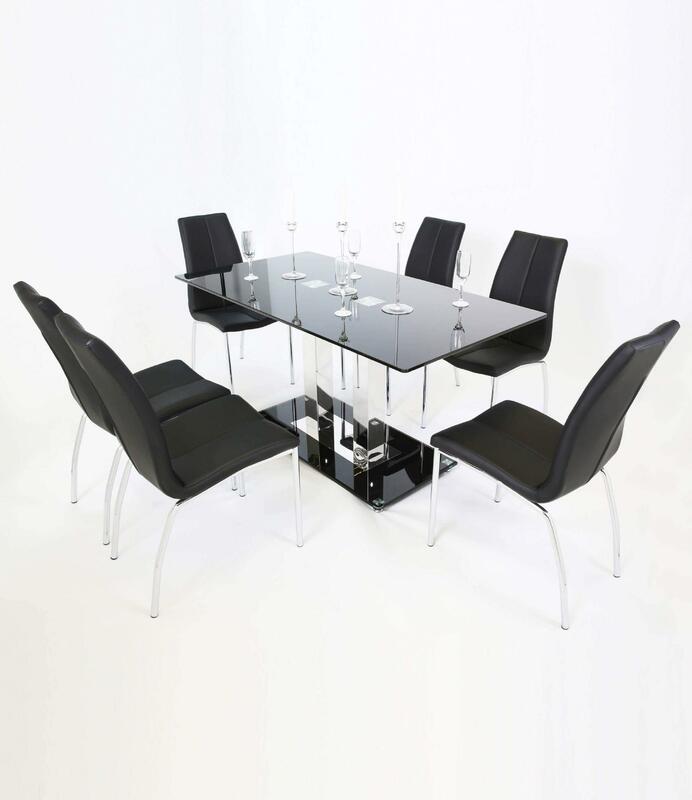 Also available is the Black Glass Modern Dining Table and Coffee Table, so you can proudly display these items throughout your house.